A goalie and a couple more Norris Trophy defensemen! This is when you need top level pro scouting. I hope this problem is addressed quickly. Take Neuvirth and Niemi, as well as Talbot. Have the more established Neuvirth or Niemi start the majority until you are confident that Talbot can carry the load. I believe that Talbot can be a starter in this league. We may be able to pull him away from NYR. That is nonsense, Dubnyk had to go through a few teams and demotions after he left Edmonton until Burke got a hold of him and fixed whatever was ailing him. That is like saying Scrivens will be a bonafide star on a better team which I doubt but he should be fine as a backup. I do not know what issues MacT had to try to overcome to get or try and get people to come here….what I do know is he went without a helmet too long…his appraisal of a quality defenceman is as appalling as i gets for a man in his position and his pro-scouts advising should be sent packing to boot! Are pro hockey players able to adapt thier style of play to suit a situation? Can NHL’ers be coached into playing smarter, heavier, and/or playing a 200 ft. game? Now to sedgeway, can our existing top 6 forwards learn a thing or two about defensive play? I have noticed during these play-offs, forwards are back-checking when they need to, as in if they sense the D-Man is getting into trouble behind the net, or along the back boards, they actually race back from the point in order to help out. This little bit of ‘puck sense’ if you will, has resulted in the forward being able to clear out the rebound or help the D get to the puck out of the zone. If the above is not coachable, and more like an innate skill, does this mean that our forwards will never learn how to back-check? Omg. Someone knows how to use an If-Then statement. Can you please share with your colleagues that there is no such thing as an ‘If-Than’ statement? K thanks. Aside from the much appreciated proper grammar, very well-written article. I’d be ok with Niemi for 2 years, still nervous with Talbot or Jones after what we got from Scrivens. Where is the If-Than statement that you are talking about? It’s math/reasoning/logic. Too many times I see bloggers on this site use ‘than’ instead of ‘then’. ‘Than’ is used mainly for comparison and frequently used incorrectly. ‘Then’ indicates a future outcome based on an initial hypothetical. I know most people don’t want to hear this, but when you’re paid to write it might be a good idea to know some of these things. Plus it’s nice to read proper English. Grammar. The difference between knowing your $hit, and knowing you’re $hit. How about Ben Bishop? Vasilevsky is going nowhere and Bishop hasn’t been great in the series with Detroit………possible? I think just about everybody is right here. What separates good from great is mental toughness. You could have two 10 year old goalies, but it’s easy too see their emotions when they get scored on. The one who can shrug it off is going to play at a higher level. That is the same for forwards and defence. When you have a forward in a slump, maybe they don’t score for 10-12 games, but your team can still win. Your goalie gets in a slump, it shows on the score sheet real quick. All 6 players on the ice need to have confidence in each other. Better goaltending = better defence = better forwards and vice versa. Just imagine what goes through our goalies mind when Niki and Jultz step over the boards??? We need to upgrade both positions in order to succeed. Gawd damn goalies are quirky. Price, who should win the Hart this year, had a 0.905 SV% 2 years ago. Go figure. The trend is toward successful tandems. Scrivens should be better next year. A veteran like Niemi or Anderson might be a better compliment than Talbot or Jones. There are young G like Gibson, Lehner, Allen and Vasilevskiy. Neuvirth. Ramo. I’d inquire about Bernier. Wonder if Crawford or Howard are available? Lots of options. It will be interesting to see what approach Chiarelli takes. No pressure though. 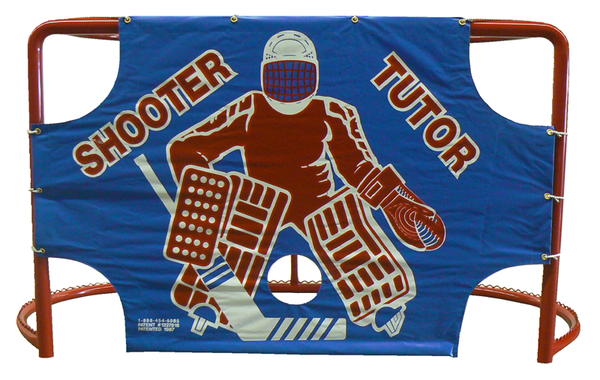 It’s the most important position in hockey and the Oilers had the worst goaltending in the league. I remember reading one of Price ex-coach said just before the Habs changed their goalie coach 2 years ago, that the Habs goalie coach then was destroying Price. And Price has been stellar since the hire of the new goalie coach. What a coincidence. I am just tired of seeing horrible players leave Edmonton and play well elsewhere. Or players we all seem to think are great leave because of a 100,000$ contract issue. If a New coach and GM can fix that it will be a great start. Part of that will be finding the right guys this summer. If This all works out and we make playoffs soon fans will buy for the coach an GM in any establishment within 1oo km’s of Edmonton. They may never have to buy dinner again in their lives. If only we had a goalie like Dubnyk. That’d be awesome. Oh wait. We did and we ran him outta town. Our bad. goalies are key. and we need a real starter (not two backups and a dream that one of them will rise). but great teams with great D can win without a Carey Price. 5 of the last 10 cup winners I would argue have goalies that were more a product of their team than their own greatness. Getting a true blue #1D and then ensuring we have 7 NHL defencemen, that is the most important piece. again – yes – real starter, but we aren’t winning stanley next year, and it is much harder to build a full D. we can upgrade a goalie when we are ready for a run. Compare that to the 50 odd saves that a barely competent goalie would have probably gathered in. Didn’t Calgary have a season lost on 1 goal games last year? And wasn’t everyone saying that it was a fluke they were winning this year? A Good goalie wins games for teams. Before we trade our elite, let’s get what UFA D we can, give away as little as possible for the best goalie we can, and see if winning (and even losing a few) games by 6 – 3 , 6 – 4, isn’t EXACTLY what this fanbase really wants.